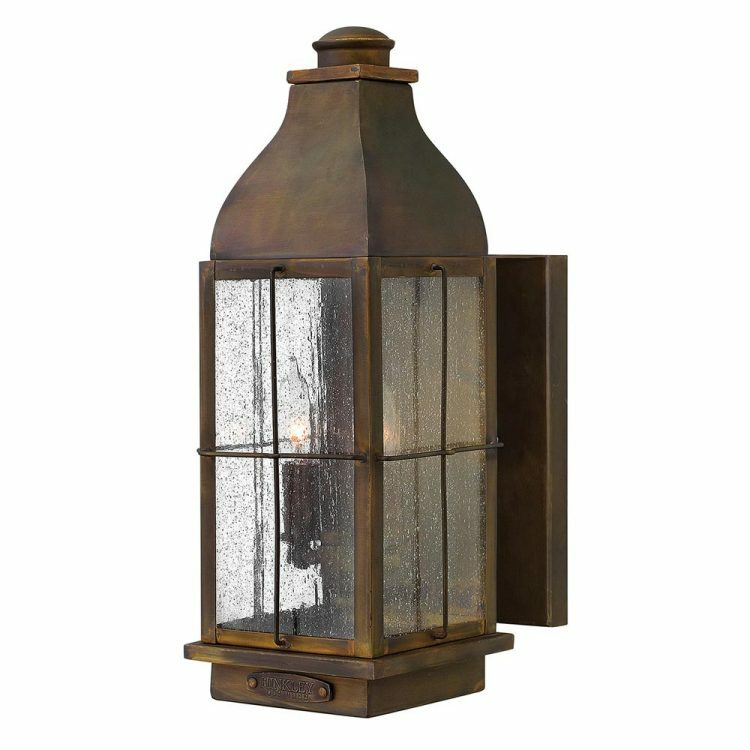 This Hinkley Bingham 3 light medium solid brass outdoor wall lantern in sienna bronze finish is rated IP44 and features vintage gas light reproduction style and seeded glass panels. Boasting a large rectangular wall mount and medium lantern in Sienna; featuring a tall tapered roof with replica vent and clear seedy glass panels. Three candle style lights are mounted inside to give a bright all round light. This Bingham collection is crafted from solid brass. The traditional style recalls a turn of the 20th century gas lamp reproduction. The vintage look is nautical in nature and recognises its origins on the shores of Lake Erie. The brass construction features clear seedy glass and a Sienna finish, while candelabra lamping completes the authentic style. If you are searching for quality outdoor lighting in a classic style, the Bingham suite should be considered. Fully weatherproof and supplied with a manufacturer’s limited lifetime warranty, which relates to the corrosion of finishes on lights like this one. There are matching fittings available in the Bingham solid brass lantern range; please see below for the complete collection. This replica light is supplied by Elstead Lighting and designed in the USA by Hinkley, founded in 1922 in Cleveland, Ohio. 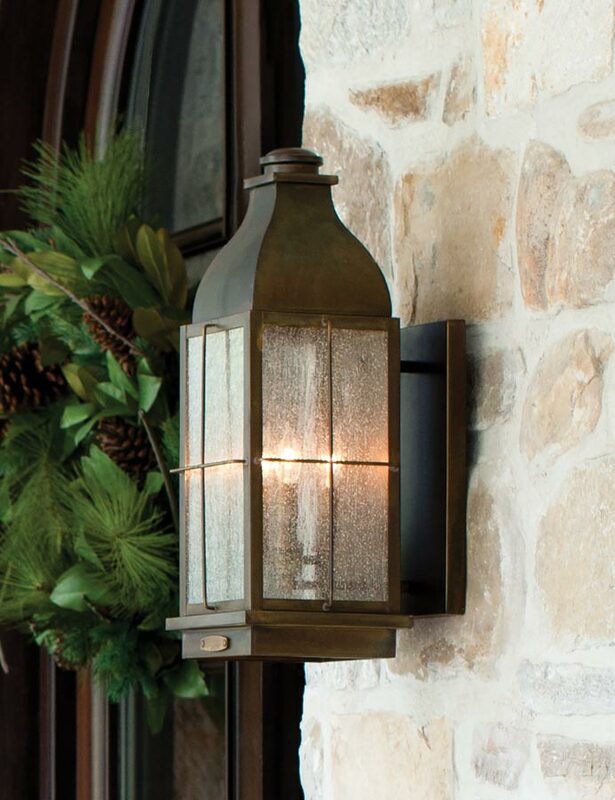 They have transformed from a small outdoor lantern company to a global brand intent on bringing you the best in style, quality and value designs like the Bingham 3 light medium solid brass outdoor wall lantern in sienna bronze finish and rated IP44 featured here.